I have to admit a reluctance to putting the modifier “Women” in this post, because it would seem to imply that on an absolute scale the mathematicians I mention here are not intrinsically great. Perhaps a better title would be The Greatest Mathematicians (who happen to be Women). In any case, it has always bothered me when I see girls and women either discouraged from or outright forbidden from becoming mathematicians. One way or another, it is I think a sign of our times that “mathematicians you’ve never heard of” is kind of redundant. I present these mathematicians in no particular order, for many reasons. Among those reasons is my personal opinion that the field of mathematics itself is not (again popular notions notwithstanding) like a vertical ladder, where first you learn counting, arithmetic, then algebra, geometry, trig, calculus and so on. In fact Mathematics, like Art, is more of a tree, with many branches, and many ways of thinking and seeing things. 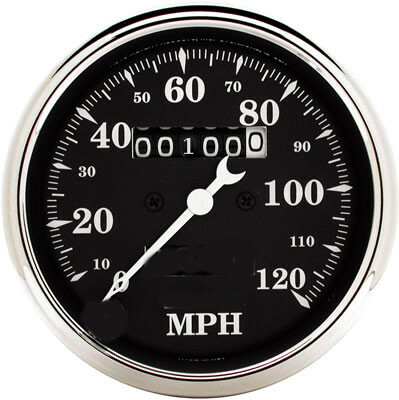 Some math is visual, some verbal, even some tactile. The fields these women pursued were likewise in many different areas, and their peculiar genius or accomplishment in each was profound. I won’t talk about all of the women pictured above, just the ones about which I would like to make a point. If you like, google “Greatest Women Mathematicians” for a very long and interesting list. 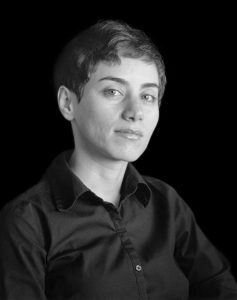 When I was writing this piece this morning I was shocked and saddened to see that Maryam Mirzakhani had just died last year (2017) of breast cancer. She was only 40, but had already done some profound work in geometry, especially Riemannian geometry — used by physicists in general relativity and elsewhere. She won the Fields Medal for her work in 2014, and became the first woman in history to win this award, described as the “Nobel Prize in Mathematics”. Maryam was born in Iran, and upon news of her death, a number of Iranian newspapers broke the taboo of printing a picture of her (a woman) with her hair uncovered. Just one month after Maryam Mirzakhani died, we also lost Cathleen Morawetz (1923-2017), Professor Emeriti at New York University. Unlike most of the other mathematicians in this list, I had the great fortune to meet and get to know Cathleen in the 1980’s, while doing postdoc work at the Courant Institute in New York, where she at the time was the Director. I had gone to Courant to continue my studies of nonlinear wave equations, and Cathleen had made much of her own fame in that area, studying compressible fluids and shock waves. 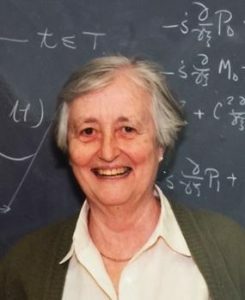 She was also the creator of the “Morawetz Inequality(ies)”, which have proven to have many uses, even to the understanding the stability of Black Holes. Cathleen was a very smart and jovial woman, and I will miss her. Going back a bit, it would be difficult to convey just how profound and far-reaching was the work done by Emmy Noether, who lived from 1882 to 1935, and whose work touched many different branches of the tree of mathematics, including abstract algebra, geometry, and dynamical systems. One of the most profound theorems she proved (actually two with her name) is now known as Noether’s Theorem. What Noether’s (first) Theorem says is that for any conservation Law (such as energy, momentum, charge, etc), there is a fundamental geometric symmetry in the universe that corresponds to it. To express this poetically, Emmy proved that in mathematical physics, Truth (Law) is Beauty (Symmetry). Emmy’s Theorem resolved questions that Einstein had not been able to solve (! ), and Einstein lobbied with Göttingen University (where she worked without pay or title) to promote her to a professorship. Eventually she was made professor, but with the rise of Nazi Germany soon had to leave the country for the US, due to her Jewish ancestry. 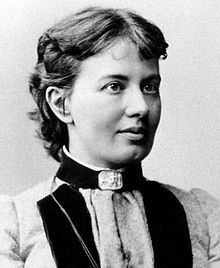 Sofia “Sofie” Kovalevskaya lived from 1850 to 1891, and like Emmy Noether made substantial contributions to mathematical physics. She was a true pioneer, the first European female to earn a PhD in modern times. 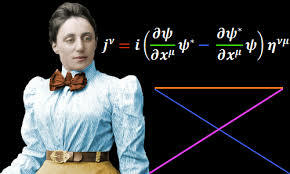 Together with Augustin Cauchy, she proved the Cauchy-Kovalevskaya Theorem, regarding the solutions to many equations in physics, especially those governing waves (light waves, sound waves, matter waves etc). Without her work I likely would not have had a job. Sofie was good in math but unlucky in love, her heart often broken. She had married and had children early on, and occasional star-crossed relationships later, but was also an early radical feminist and maintained a close and possibly romantic relationship with playwright Anne Charlotte Edgren-Leffler, the sister of Gosta Mittag-Leffler. Besides her main theorem, she was also the discoverer of what is now called the Kovalevskaya Top, an exact solution to a spinning top that completed work begun long ago by Euler and Lagrange. She was also a writer, and wrote “Nihilist Girl”, a semi-autobiographical work. 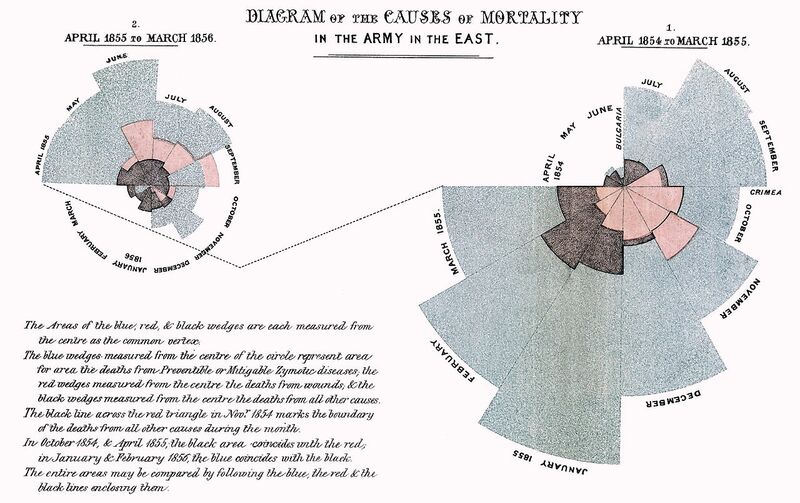 Besides being the founder of modern Nursing, Florence Nightingale had a knack for mathematics and especially statistics, and made great contributions in the visual display of quantitative information, a field which later was made popular by Edward Tufte in his seminal works. 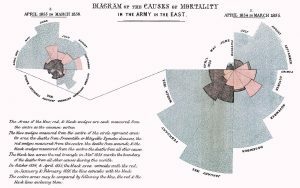 Ms. Nightingale was one of the first to make use of the Pie Chart, making clear causes and relationships in mortality among WWI soldiers. There are so many others, such as Maria Gaetana Agnesi (the first woman appointed as full professor, but who died and like Mozart was buried in a pauper’s grave) but on my short list I have saved Hypatia for last. No likeness has ever been found, but she was said to be as beautiful as she was smart. The first documented female mathematician, Hypatia lived in 400 AD in Alexandria, and is considered by many to be the patron saint of mathematics. And a martyr. She was the daughter of the mathematician Theon, and inherited from him the position of Director of the Library of Alexandria, the ancient repository of world knowledge. Though Theon was considered a great geometer and wrote many treatises on Euclid, Hypatia was said to have surpassed her father in mathematics and astronomy, made astrolabes, and wrote many other works and commentaries on geometry. None of Hypatia’s works have survived, nor much of Library, whose destruction was considered one of the great tragedies in intellectual history. Hypatia was brutally assassinated by christian extremists, opposed to the “practice of sorcery, witchcraft, and mathematics”. Ironically, she was also a great teacher, and one of her most devoted students was Synesius, who studied under Hypatia as a neoplatonist, but eventually he converted to christianity and became a bishop, and contributed to the understanding of the doctrine of the Trinity. Hypatia fought hard to save the Library, but the world was changing and she could not stop it. So much was lost when the Library fell. With it was lost much knowledge, and science, and wisdom, that we will never recover. The fall of the Library presaged the Dark Ages. Had the Library stood, some have said, we might have landed on the moon in 1492, not just Florida. To be a woman. To be a scientist. To be a mathematician. All these things require more of one than any of us could ever know. Be brave, these women tell us. Calculus is taught all wrong and too late. The basics could be taught in the car on the way to Kindergarten. That’s differential calculus. How things change. Subtraction. That’s integral calculus. How changes accumulate. Addition. Subtraction undoes addition. That is the Fundamental Theorem of Calculus. Duh. Next stop, Rocket Science !